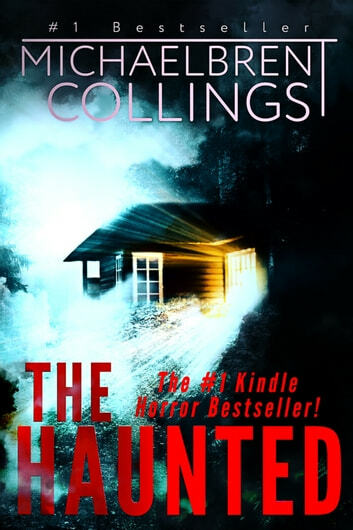 The Haunted is an Amazon Horror Bestseller written by novelist Michaelbrent Collings, whose other bestsellers include DARKBOUND, APPARITION, THE LOON, RISING FEARS, and BILLY: MESSENGER OF POWERS. FROM THE AUTHOR: As with so many of my books, there are twists and turns throughout. So please remember: reviews are great, but please don't spoil the book for others by revealing the secrets of THE HAUNTED! I could not put this down! 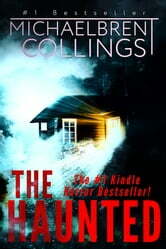 Suspenseful, very well written and a plot twist that surprised me just when I thought it was over. This it's going in my permanent collection! This novel was intense from the very beginning to the very end. It was also creepy. This is the first book I have read (and I have read alot) that keep me on the edge of my seat the whole time.I will definitely be reading more of Michelbrent Collings. I am a diehard Stephen King fan but this book definitely scared me but good. Very creepy and with a surprise ending. Reading if you dare. Well worth it! !